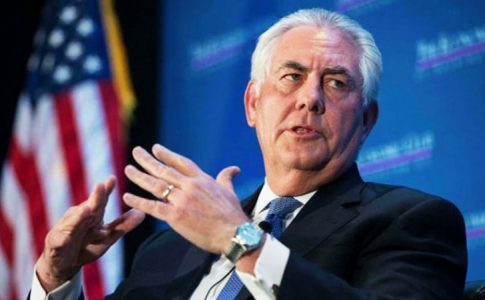 The Trump administration will mean increased attacks against women. The Women’s March on Washington demonstrates the potential for the creation of a new, responsive women’s movement. Here, I will outline six elements needed for a women’s movement that is up to the task of not only responding to Trump’s attacks, but of wresting our rights from the government. January 21 is set to be the day of one of the the largest protests in recent U.S. history, the Women’s March on Washington. The widely-publicized protest is expected to dwarf the numbers at Trump’s inauguration, as three times more buses are registered for the Women’s March than for the inauguration. These busses will bring people of all stripes to Washington D.C. to protest the inauguration of a President who brags about sexually assaulting women and who has bullied and demeaned women throughout his career. His anti-immigrant and anti-Muslim statements and his cabinet full of climate change deniers and billionaires will translate into increased attacks on the majority of women. The Women’s March on Washington takes place after a relative lull in the women’s movement during the Obama presidency. 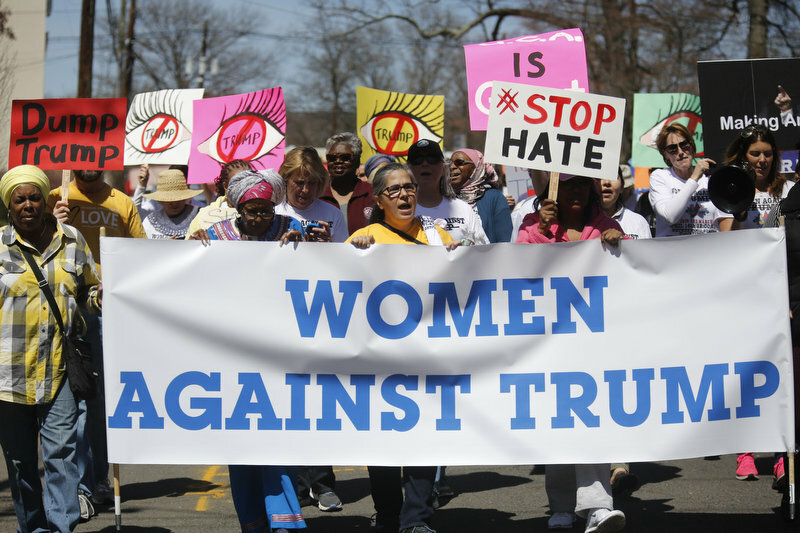 Despite attacks on women’s reproductive freedom, immigrant families, trans women and continued structural inequities between men and women, the women’s movement was largely absent from the national stage. The Trump administration will, no doubt, mean increased offensives against women, and the Women’s March demonstrates the potential for the creation of a new, responsive women’s movement. Here, I will outline six elements needed for a women’s movement that is up to the task of not only responding to Trump’s attacks, but of wresting our rights from the government. The Women’s March on Washington is a step in that direction. 1. Independence from the Democrats. The Democratic Party has had an important hold on the women’s movement, maintaining the limited argument that women’s rights can only be protected and defended by voting. However, hitching the women’s movement to the Democratic Party has shown itself to be a failed strategy, even on the most basic and politicized issue—the right to an abortion. Facing strongly anti-choice Republicans, many believe that voting for Democrats will maintain our right to choose. However, after eight years of a Democrat in the White House, abortion access is more restricted today than ever. In fact, according to the Washington Post the past five years account for a quarter of all abortion restrictions enacted since the Supreme Court legalized abortion in 1973. Yes, these restrictions were passed by Republican legislatures. However, where is the outrage? Where are the mass mobilizations? Why has the energy and money that was spent attempting to get Clinton into office placed at the service of fighting these anti-choice measures? The Democratic Party, despite paying lip service to equal rights for women, cannot and does not even effectively defend the right to choose, much less advance measures vital to working women, such as universal paid family leave and maternity leave. While the Democrats brand themselves as the supporters of women’s rights, the fact that they have not advanced important women’s rights initiatives, nor have they organized a mass movement for these rights, demonstrates that women cannot trust them to defend or protect our rights. 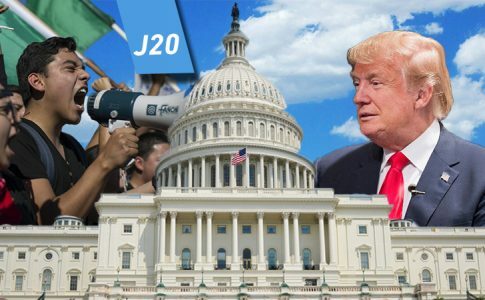 In order to fight Trump, we cannot rely on the compromised Democrats, who vow to work with Trump so that he can have a successful presidency. We must rely on our own strength in the streets and in our workplaces. Rather than aligning with the Democratic Party, we must fight for unity between social movements, unions, and women’s organizations to defend our rights from Trump’s attacks. We must call for a broad alliance of organizations, despite differences between us, in order to march to protect and advance women’s rights. This women’s movement must take their struggle to the streets, organizing people to participate at every school, university and workplace. This movement should recognize that the years of negotiating compromises behind closed doors in Washington is a failed strategy. The movement should find inspiration in the Black Lives Matter movement that organized mass protests around the country. It should be inspired by the widespread public demonstrations for women’s rights in Iceland, Poland, and Argentina that overtook streets and shut them down. The solutions to the problems that women face will not be solved by elite politicians, but by millions of people in the streets. The Women’ March is a step in this direction, but it must be seen as such — a step to building a massive women’s movement that sees solutions not in elected officials, but in the strength of organized workers, youth and women. 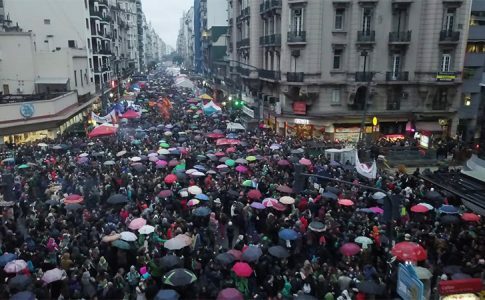 A #NiUnaMenos protest in Argentina. 3. Organize Against All Forms of Oppression. The emergent women’s movement must fight against all forms of oppression. It must have nothing to do with the kind of feminism that struggles solely for issues narrowly defined as “women’s issues” while deeming struggles against police violence and mass incarceration as someone else’s fight. 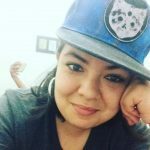 Rather, this new women’s movement can contribute to a fight for our collective liberation by exploring and understanding the ways in which racism, homo- and transphobia and ableism affect women in particular. This is one of the strengths of the unity principles of the National Women’s March, with clear statements not only against the “isms”, but open denouncements against mass incarceration and police violence. However, the National Women’s March shares the same problem as the Movement for Black Lives Platform in that it does not call for the end of the police, but rather seeks to reform the police. A critique of that position can be found here. Trump will attack all oppressed people— women, undocumented immigrants, Muslims, people of color and others. Our organization must be prepared to fight against the upcoming assault and take it on as a collective resistance. Capitalism thrives on women’s labor, both paid and unpaid. It profits off of sexism by paying women lower salaries for equal work, and providing low wages for jobs that are considered “female” occupations, like caregiving work. It relegates women to some of the lowest paying jobs and punishes women economically for having children. Capitalism profits off of women’s labor in the home, by seeing domestic labor as “natural” and therefore, outside of the market. Women do the labor that the state and the bosses refuse to do. The state refuses to provide childcare, so a woman must do it for free. The state does not provide free public cafeterias to eat, so women must each cook and clean in their houses individually for free. Women’s oppression is therefore central to capitalist production and reproduction. There can be no freedom for all women within the system that profits so greatly from women’s oppression. The fight for the end of sexism is inextricably linked to the fight against the capitalism. The unity principles of the Women’s March has some clear language in favor of working class rights—the right to unionize, for paid maternity leave, and for a living minimum wage. However, the principles argue in favor of “economic justice” rather than for an end to capitalism. This amounts to supporting an economy that includes exploitation but curbs its most brutal elements—exploitation with childcare, if you will. A system in which production is not democratic and is not organized for the good of society, but rather for the profit of a few can never be just. There is no such thing as “economic justice” within capitalism, a system in which a tiny minority exploits the labor of many. In a system based on profit, the best way to get attention and to get our demands met is through the organized power of the working class. This method forces the hand of the capitalist state by withholding labor until demands are met. 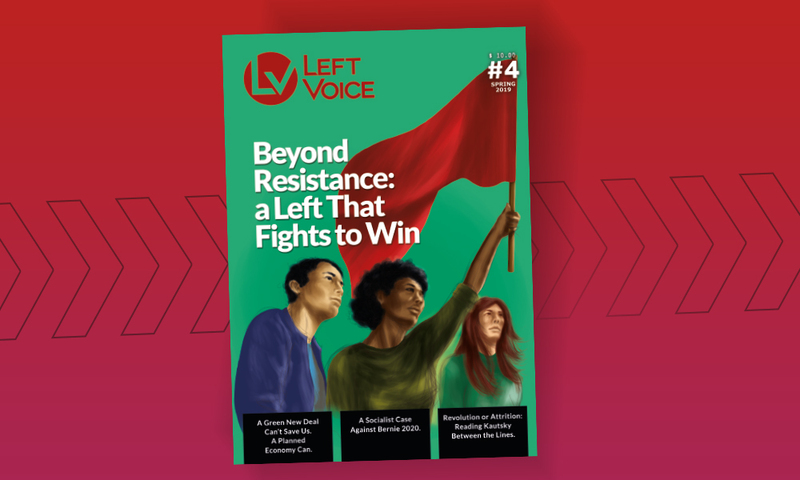 Left Voice has proposed organizing strikes against police brutality, which could also be used by the women’s movement to maintain the right to choose and to force the government to mandate equal pay for women. In Iceland, women not only took to the streets for the right to an abortion, but also took the next step and organized a “women’s strike”, refusing to go to work. 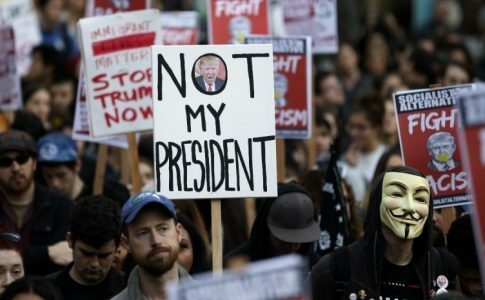 In the United States, thousands of women have also pleged to go on strike on January 20 as a form of protest against Trump. Yet, a successful strike for these measures should be called for by labor unions. The AFL-CIO, for example, has sponsored the women’s march. We call on them to not only sponsor the march, but to call for the women’s strike, organizing workers assemblies across the country to vote for a strike against Trump on January 20. The U.S. is the largest imperialist power in the world. Under the Obama administration, three bombs were dropped per hour, totaling over 26,000 bombs just in 2016. US support for Israel, U.S. bombs and U.S. borders shapes the world. We must build a movement that is clearly anti-imperialist, anti-zionist and supports the liberation of women around the world. This means understanding that the liberation of all women, from Palestine to China to Mexico is interconnected. 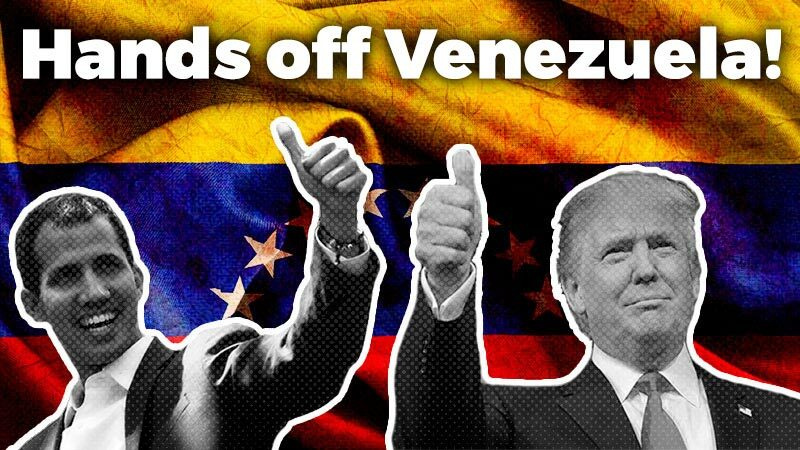 It means organizing against U.S imperialism with the same strength and conviction that we organize for the right to chose within the US. It means organizing protests and demonstrations of solidarity to women’s movements around the world. A central aspect of this internationalism is fighting with everything we have against Trump’s promise of deportations and the construction of wall between the U.S. and Mexico. These deportations would spell the economic ruin of many families, who depend on the measly wages provided by precarious U.S. jobs. It is to fight against the border that divides families and the detention centers that cage undocumented immigrants for months and even years. Just as we will move thousands, and even millions, if Trump touches our right to chose, we should move just as many if a wall is built or if Trump’s promise of 3 million deportations moves forward. Trump’s attacks on women and oppressed people will be relentless. We must take this moment to organize a women’s movement that has the power to not only defeat Trump, but to wrest our rights from the government. To do this, we cannot trust the Democrats and must organize an independent women’s movement against all forms of oppression, against imperialism and against capitalism. It must be a movement that takes the streets and organizes in the workplaces. It must be a movement that does not compromise with our rights. The march on January 21, perhaps one of the largest marches in recent U.S. history, is a step in this direction. But we cannot stop with one massive march, we cannot stop with one show of strength, we must build a movement that will only stop when we are all truly free.